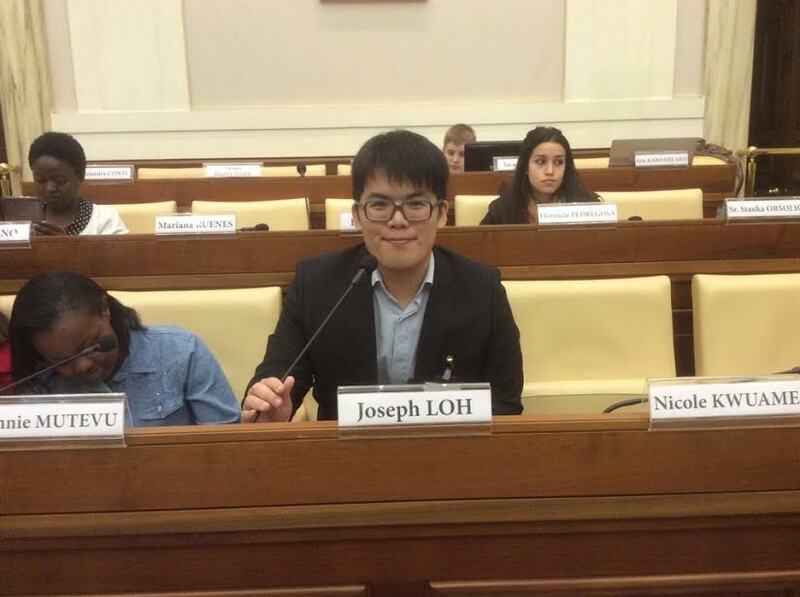 Joseph Loh was a youth delegate on behalf of Good Shepherd, Taiwan. 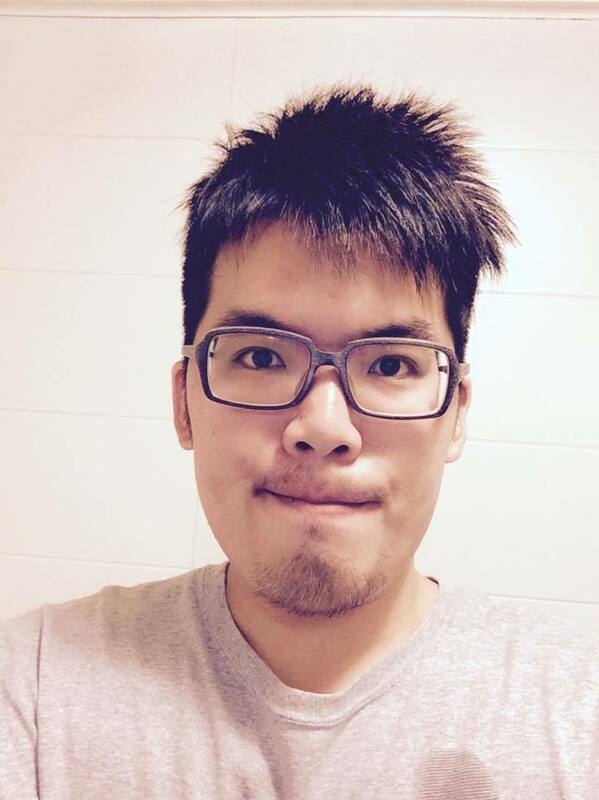 Joseph send us the follow update on his experience. 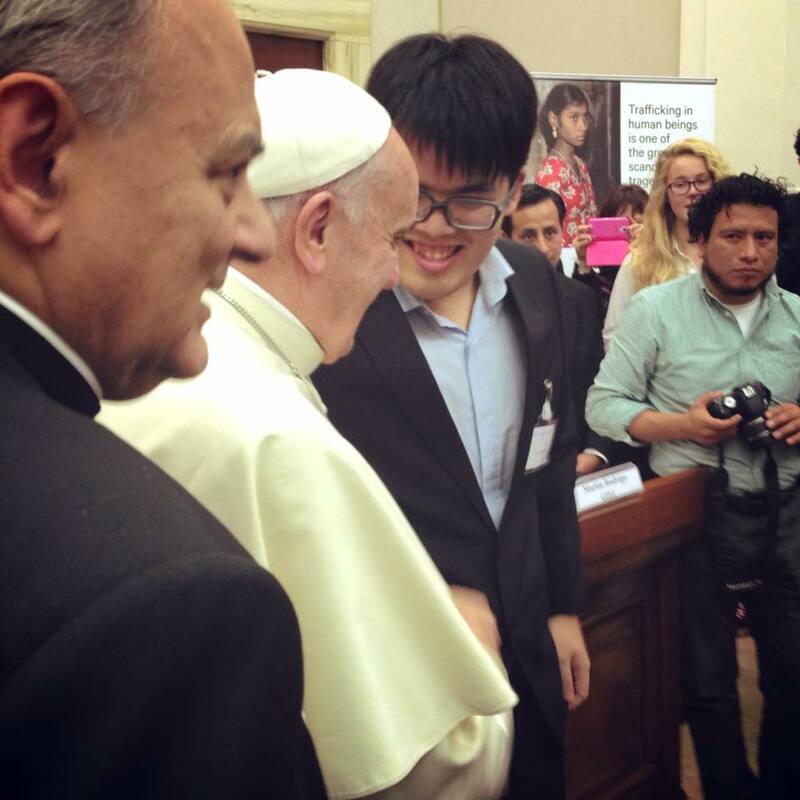 “This year I was honored to be invited to the conference by the Vatican through Monsignor Marcelo. After a long tiring journey, I experienced warm friendship, and mutual support of the participants. People came from different Foundations with different backgrounds from all around world. We were no longer strangers but co-workers in preventing human trafficking. Presenters from Mexico shared personal experiences that they were victims but became the survivors after they were helped. What they shared was very touching and moving. This motivated us; we all know now that what we are doing is worthwhile. People help each other and care about the harm that human trafficking has done to victims. 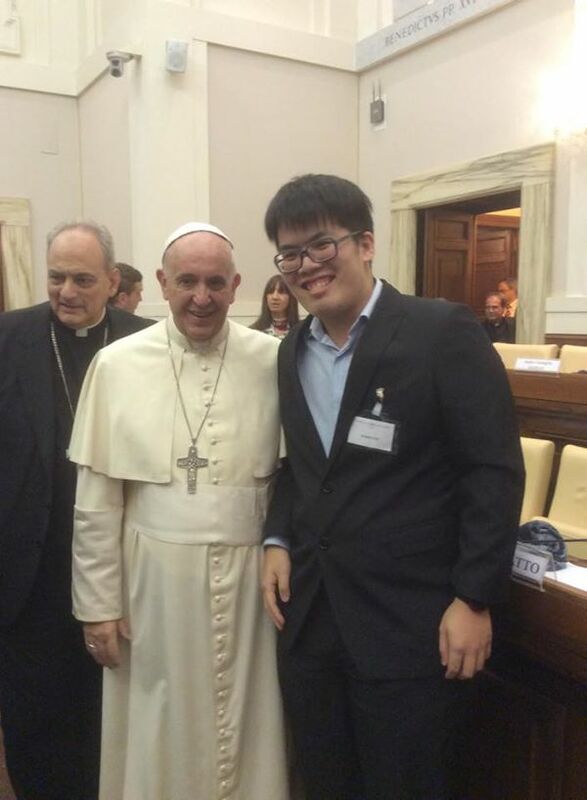 Another important event was Pope Francis’s speech. He was so down to earth and I got a chance to talk to him personally. 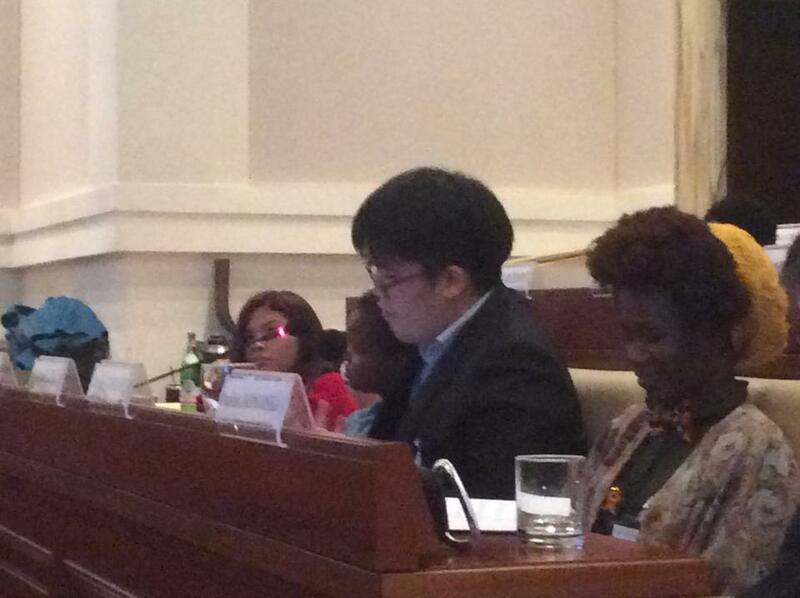 My topic was Prevention of Human Trafficking in Taiwan. There are two key points in my report. 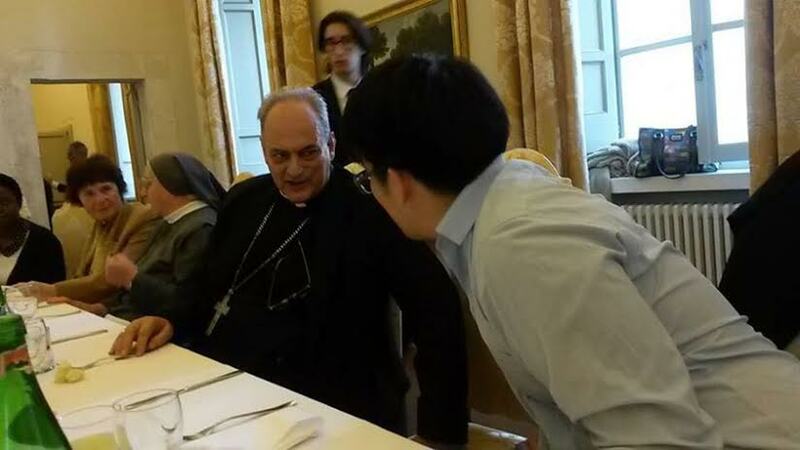 One was to prevent and protect the victims in Taiwan; the other is the high sea issue in Asia. For the former point, Good Shepherd is commissioned by the Taiwan government to run a shelter for victims in Nantou, and we did an efficient job with official support. For the latter point, I made an example of Cambodia fishermen who worked on foreign ships, therefore their safety and labor rights cannot be guaranteed while working on the high seas. 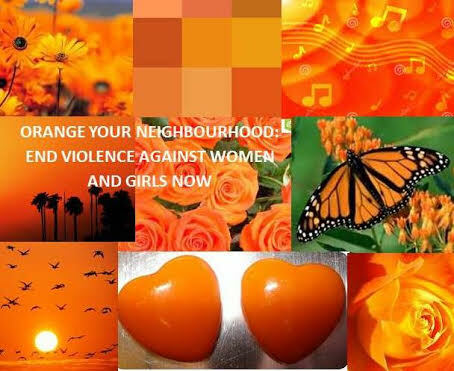 Color your neighborhood orange November 25 to December 10, 2014 – End Violence Against Women! The 16 Days of Activism Against Gender-Based Violence is an international campaign which takes place each year, and runs from 25 November, (International Day for the Elimination of Violence against Women), to 10 December (Human Rights Day). 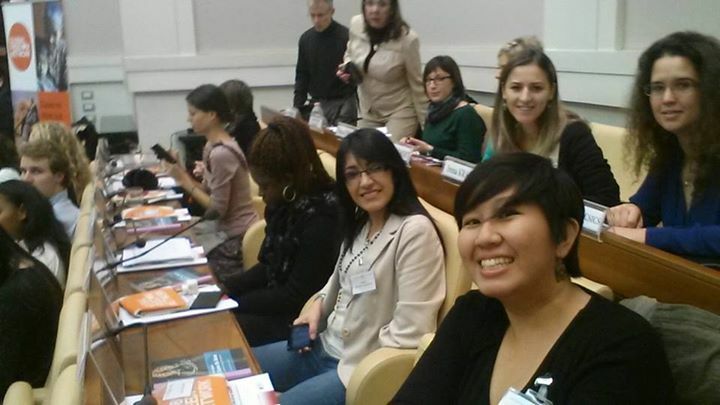 Youth Symposium in Rome on Prostitution and Human Trafficking. On page 11 you are introduced to Mary Anne Balthazar from Sabah, Malaysia and on page 17 you will learn about Joseph Loh from Taiwan. It is certainly a tribute to the work of Good Shepherd in both Malaysia and Taiwan that Anne and Joseph have been selected as presenters. The topics are very broad and cover multiple aspects of human trafficking. 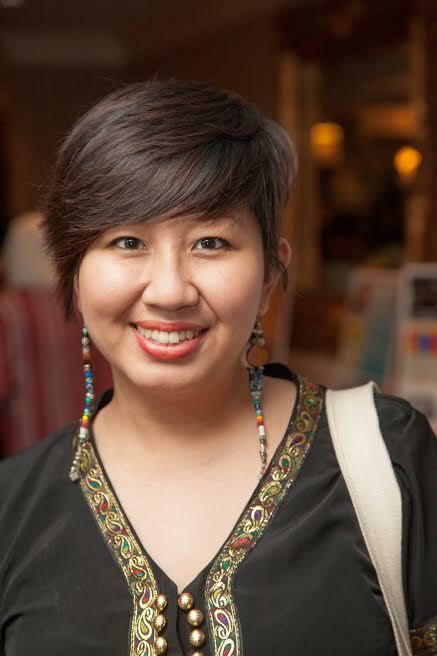 In reviewing the list of presenters I wish you to note that Good Shepherd are present in Ireland, (Ruth Kilcullen); Kenya (Winnie Mutevu); Spain, (Alejandra Scelles Torres); Albania (Olivia Conroy); Cambodia have two presentation ( Pisey Khim and Phirum Sary); and Bolivia (Ana Paola Garcia Villagomez). 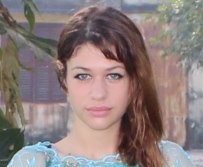 Marie Helene Halligon who attended the conference on Human Trafficking in November 2013 has been active in RENATE Europe and has encouraged youth to attend. I am encouraging two young people from Europe: Andrea, who, I think represents her Hungarian NGO “ergo”. I was in contact with “ergo” during my staying in Hungary last September. 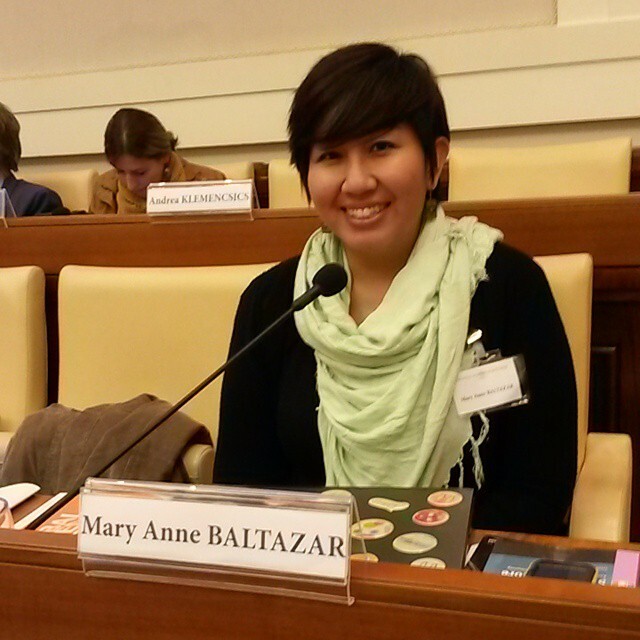 And Constance, who is a volunteer with Caritas Europe GS is part of in the “Collectif_contre_la_Traite”. These two young women know GS only because of my contact as GS with their network. Andrea Klemencsics Age: 24 Profession: juriste (lawyer) Petite présentation: Je suis diplômée de l’Université Catholique Péter Pàzmàny. J’ai écrit mon mémoire de l’esclavage moderne. En 2012 en cadre de programme Erasmus, j’ai étudié l’Université Catolique de Lille. A l’Université j’ai commencé un recherche avec mes professeurs français et hongrois. En 2012, j’ ai passé 6 mois à Lille, j’ai fait le stage chez Mouvement du NID. (prostitution, traite des êtres humains) Actuellement, je poursuis mes études doctorales à l’Université Catholique Péter Pàzmàny. Parallèlement, je suis membre de l’Association d’ERGO et de l’Association d’Ars Boni. (la revue juridique qui est éditée par les jeunes juristes) Actuellement, je suis à Paris et je fais un stage à Fondation Robert Schuman en cadre de bourse. Constance MAZARD, born in Montauban, France, on January 28, 1986 (28 years old). Volunteer at Secours Catholique – Caritas France, is active in the struggle against human trafficking. 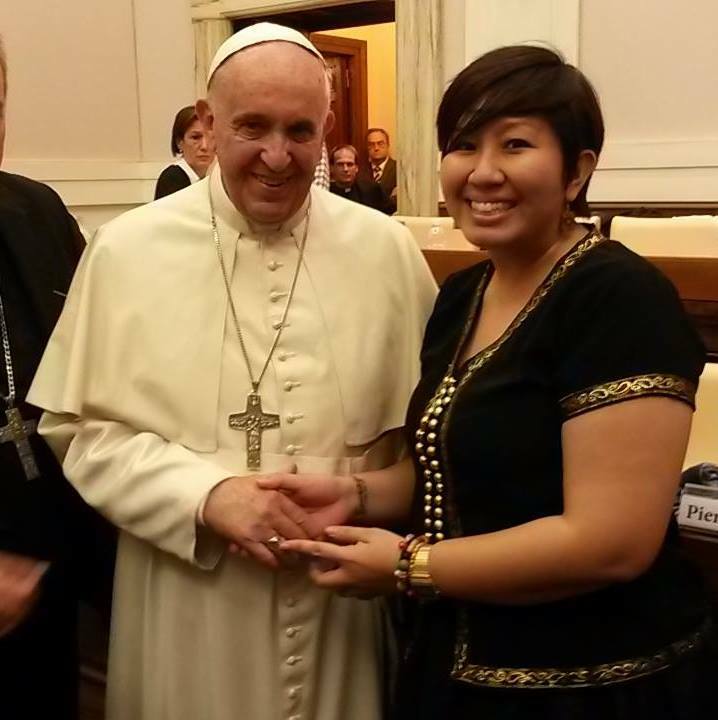 During her studies of law and political sciences, she used to take part in several activities with the catholic church. These activities included spending a month at an orphanage in India, taking care of children with sever physical and mental problems, taking care of the elderly in the favelas of Rio de Janeiro, and spending a year in a Vietnamese catholic monastery teaching English to the Monks. We congratulate youth on all their accomplishments in this area.